I can’t believe GIRLS comes out in less than a month! It’s felt like the loooooongest journey to get here, but now everything is moving so fast it’s both exciting and utterly terrifying! In just a few weeks, I’ll be coming to the US to celebrate the launch. It’ll just be the west coast this time, but I’m so excited to meet – and make – writer and readers friends and talk all the bookish things, so please do come along if you’re nearby! I’d love to chat! Tour dates below. 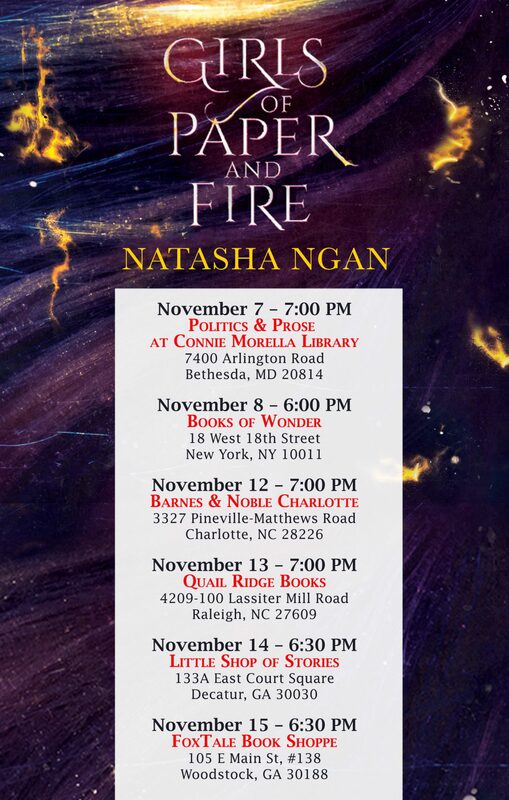 In addition to these, I’ll also be at two book festivals – YALLFest in Charleston, South Carolina, and the Miami Book Fair. YALLFest is from November 9-10, and you can find more details here. I’ll be doing a keynote talk with my publisher and all-round writer extraordinaire James Patterson where we’ll discuss all things YA – buy your ticket here! You can find me at the Miami Book Fair on the 18th November for a panel titled My Body is My Own: YA Women Fight Back. It’s going to be empowering and awesome. Come!